It’s time for the holidays and what better way to celebrate with family and friends than with with the uKeg and the new GrowlerWerks uPints. uKeg is a pressurized growler from GrowlerWerks. The uKeg keeps your favorite craft beer fresh, cold and carbonated for up to 2 weeks. Beer alone can make or break a holiday experience. And beer temperature matters! Sure, you can throw your beer in the fridge and it might stay cold enough to enjoy, but it’s best to reserve your fridge for all those platters of food, casseroles and the turkey!! We have been enjoying the GrowlerWerks uKeg for many months now and enjoy exploring the various craft beers we can add to it and share with family and friends! We were buying growlers of our favorite craft beer before but we always wasted some as they go flat once they’re opened, they let in air, which spoils your beer, and they don’t travel well. Filled with a favorite craft beer, a uKeg can be pulled out of the fridge when company arrive and stay cold all day. Or at least, until you pour it. 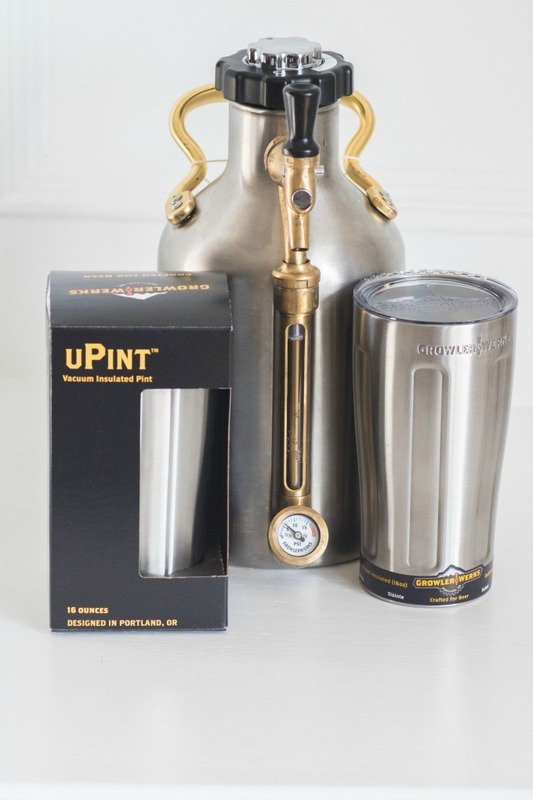 A pressurized growler would make the perfect gift for the beer lover on your list. They are also very attractive looking on your bar and a great conversation starter. This then brings me to the uPint. If you’ve done the right thing by keeping your beer fresh and cold in a uKeg, serving it in plastic cups can warm beer within minutes. 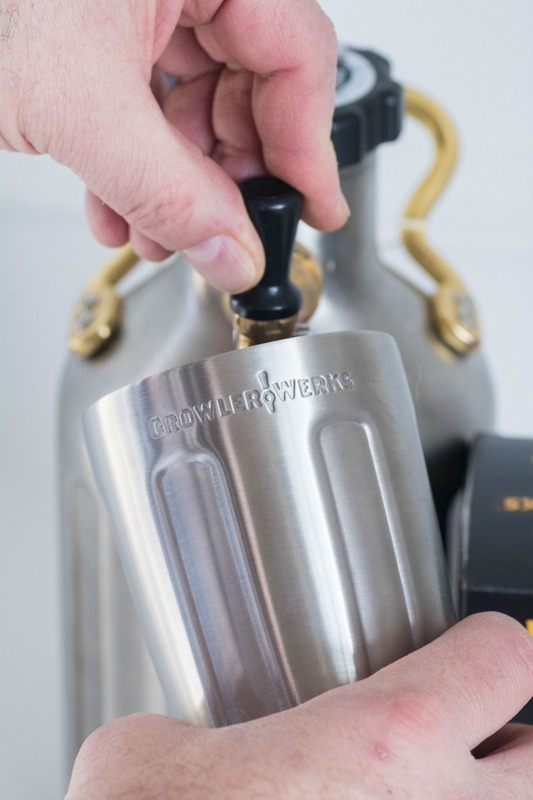 GrowlerWerks’ uPints keep drinks perfect from the first to last sip. Put a couple of uPints into a beer lover’s stocking and they will be even more thrilled. It is a complete set that can be enjoyed all year long. Think of tailgating time and how perfect this would be on game day. Your very own uKeg that will keep your beer cold all day. You will be the envy of your buddies but if you have two uPints you just might want to be sharing!! And if (or, more likely, when) a cup gets tipped over in the hubbub of the holidays or on game day, uPints come equipped with a handy sipping lid resulting in less spillage. Therefore there is less clean up and more beer to be enjoyed!! Check out the innovation behind the uKeg. They have a growler that completely works and with an automatic regulator cap that holds CO2 inside. 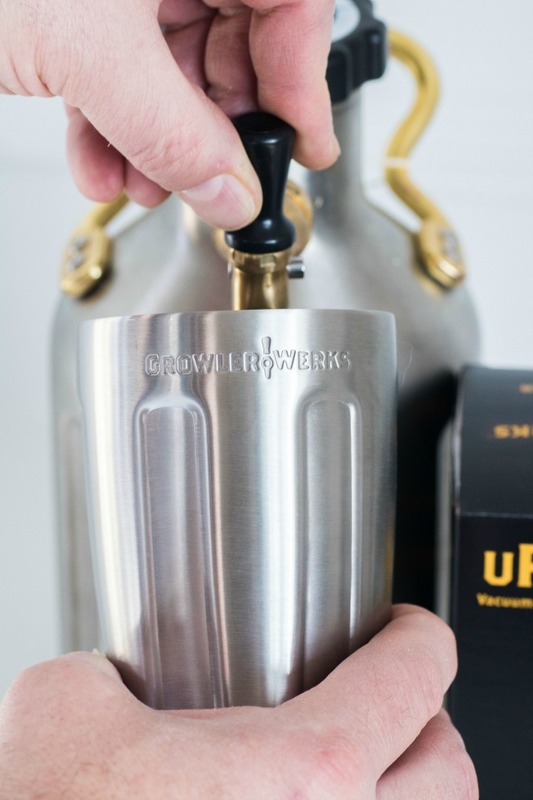 The GrowlerWerks uKeg comes in many colours and they have even more accessories than the uPint. They just released a uKeg infuser and I can’t wait to try this out too! We made an infuser for the uKeg, our pressurized growler that keeps beer fresh, cold and carbonated for two weeks or more. It makes it easy to infuse your favorite beer with flavors, creating your own cask-conditioning in the uKeg. 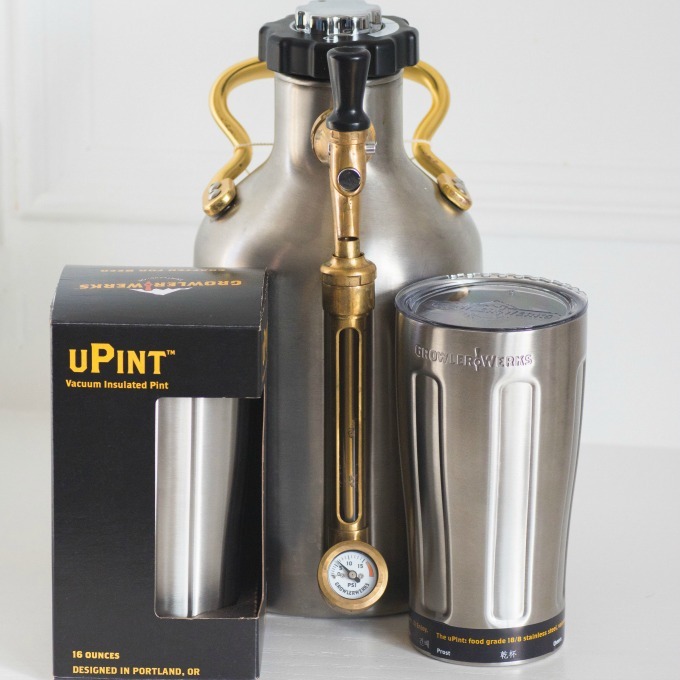 The uKeg Infuser can also be used to infuse cocktails or other craft beverages, and right now, it’s free with any uKeg purchase in our online store (while supplies last). 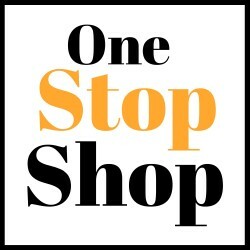 Visit our online store here. Fresh hops, dry hops, wood chips, fruits and/or spices are all tasty finishing flavors. The Infuser attaches to the bottom of any uKeg cartridge sleeve for easy removal. Here are a few ideas to get you started. Add fruit, bourbon-soaked oak chips or additional hops to the infuser to condition your favorite beer. Spice up a traditional hard cider with fresh ginger, cloves or cinnamon sticks for holiday flare. Take your cocktails to the next level by infusing them with ingredients such as mint, vanilla bean or coconut. So just in time for the holidays, grab your uKeg and some cool accessories. Happy Holidays!! My sister and brother in law are big craft beer drinkers. This is a great idea for them! My husband would surely love this! He loves his beer and tries all kinds! I might get him this for Christmas! Sounds like an awesome product. I’m going to have to look more in to this too. I think it would be nice to have. Keeping your favorite brew in good condition longer sounds really cool. I like the possibilities with the infuser too! No one wants to drink warm beer, this sounds like a great way to keep it cold. That looks and sounds so cool! Would love to check it out! wow! I love it! And I am sure my husband will love it even more! This is the perfect gift for a man! I have been looking for a gift for a friend who has pretty much everything, but I don’t think he owns this! Great Christmas idea. Thanks for sharing!